In order to become a citizen of the UK, an immigrant needs to learn a lot about the nation’s creative past and present. Life in the UK: A Guide for New Residents introduces its readers to Britain’s theatres, museums and galleries, and a host of poets and novelists. Those aspiring to British citizenship are warned not to take the ‘Life in the UK Test’ without having grasped, among other things, ‘the development of British cinema’. But what happens to this proud appreciation of the creative industries should the aspiring British citizen enter the world of government policy? Faced with the Building our Industrial Strategy Green Paper, a very different kind of nation emerges. This document sees industry through a prism of science and technology. It contains eight references to battery technology but no mention of the film industry. Its perception of research and skills barely glances beyond ‘STEM’ (science, technology, engineering and maths) subjects. Of course it would be absurd to claim that the sciences are free of creativity, just as it would be foolish to deny the importance of battery technology to the sustainability agenda. But people working in the film industry – or, for that matter, the still more lucrative gaming industry – have cause to feel marginalized, even patronized. The creative industries include film and television, publishing, architecture, design, advertising, music, software and gaming. While the Green Paper might prefer a model of ‘industry’ forged in the heat of the Industrial Revolution, creativity is a big deal in 2017. In January this year the Business secretary, Greg Clark, acknowledged the creative industries as the fastest growing sector of the UK economy. Figures released in 2016 by the Department of Culture, Media and Sport demonstrated that the creative industries generated £87.4 billion of value to the UK economy in 2015, and that they were creating new jobs at more than twice the rate for the economy as a whole. And if we stretch our focus a little, almost 10% of the UK workforce is employed in creative occupations, which is more people than are employed in either construction or financial services. At their most successful, the creative industries draw upon people with a wide range of skills and training. A recent report on a cluster of high-growth creative firms in Brighton found not only that a mix of disciplinary expertise brings success, but also that 48% of the entrepreneurs were arts, design or humanities graduates. Maybe that shouldn’t be a surprise. Steve Jobs described Apple as ‘existing at the intersection of technology and liberal arts’. We know also that roughly a third of FTSE100 CEOs hold humanities degrees, along with a significant proportion of politicians and senior sivil servants. But somewhere along the line, education in STEM subjects became the priority. ‘STEM’ wasn’t even a thing until the present century; people studied science and technology disciplines, but not under this brand. The coinage of the acronym dates back to 2001, and has been a little piece of public relations brilliance that has transformed public discourse on education across the world. This is not to argue that more expertise in the sciences and technology disciplines may not be a good thing. That would be madness. But the easy over-reliance on ‘STEM’ in the public arena all too quickly becomes exclusive, creating a binary that looks rather like: ‘STEM’ v ‘the less useful stuff’. The Green Paper dives right down this tunnel of vision, promising to ‘boost STEM skills’, increase PhDs in STEM, and so forth. ‘STEM’ is mentioned twenty times, the social sciences and the arts and humanities not at all. The spring budget fell into line, promising 1000 new PhD studentships ‘in areas aligned with the industrial strategy’. It’s boom-time for batteries. It’s surely time to think about ways of articulating more powerfully the skills that students develop through studying other disciplines, in the arts, humanities and social sciences. These skills – qualitative and quantitative analysis, communication, critical thinking, team-working, design, entrepreneurialism, and so forth – take our graduates into all sorts of important places. Educators need to remember that, and we need to ensure that our graduates don’t forget it when they become CEOs and government ministers. And, by the way, we can teach creativity. 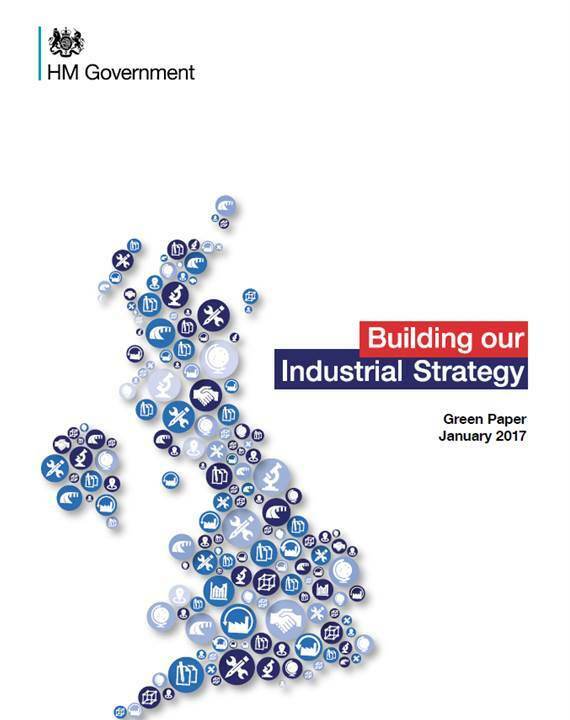 For the UK’s researchers, the big proposal in Building our Industrial Strategy is the creation of an ‘Industrial Strategy Challenge Fund’, worth around £2 billion. Though not intended as exhaustive, the Green Paper lists likely priority areas, including: robotics, satellites, biotechnology, supercomputing, and – yes – batteries. Much research in the arts and humanities has no obvious implications for the creative industries. This is also true of much STEM research. But the Arts and Humanities Research Council and the Economic and Social Research Council have worked hard over the past decade to support collaboration at areas of interface. For example, the AHRC’s knowledge exchange hubs experimented with models of engagement between researchers and industry, and demonstrated the economic impact of such investment. Specific projects ranged from innovation in gaming, textiles, medical products, intellectual property, through to the ambitious Creative Cardiff initiative. After these developments, researchers were primed and ready for a bold, twenty-first century industrial strategy. We’ve proved that we can achieve a lot, in a fast-growing sector, with a fraction of the overall investment promised in the Green Paper. In terms of research synergies, just as in the area of skills and training, we have much to contribute to industry. But that’s not the vision we get from Building Our Industrial Strategy. There’s a way to go in this process. The Green Paper is open for consultation until 17 April. Meanwhile Sir Peter Bazalgette, outgoing Chair of the Arts Council, has been commissioned to conduct a review of the creative industries. But shifting both the terms and the tone of the debate will require some energetic and collaborative – even, in the classic use of the term, industrious – labour. The was published under a different title by wonkhe.com.